Facebook is a popular social media site that provides excellent marketing tools for businesses. Between business Facebook pages, event calendars and specialized groups, Facebook is a great way to connect with your audience. Social platforms are also excellent places for millenial media sharing, if that is your particular audience. However, it is not enough to simply have a profile. Instead, you must find new and meaningful ways to interact with your followers. Maintaining an audience can be just as difficult as building one. Luckily for you, we have found some of the best tips and tricks that can help you do both. See our advice below on how you can run a more successful business Facebook page. The first trick to a successful business Facebook page is to seek out the most optimal posting time for your visual marketing. This may take a bit of trial and error on your part, but once you discover the key window of opportunity you will be set. Posts often garner more or less attention depending upon the time that they were posted. For example, posts made in the middle of the night may be lost and forgotten, while posts made at 4pm could blow up. It all depends on when your fans are browsing the web. One of the most useful features of any business Facebook page is the helpful hints they produce. 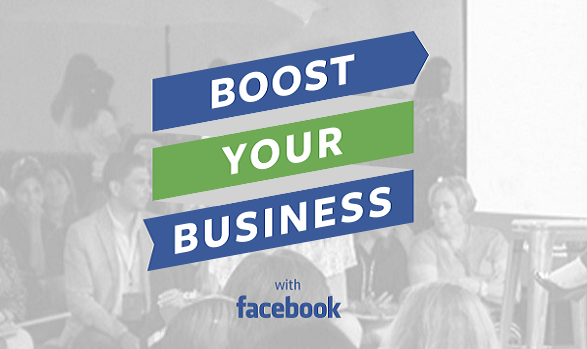 Facebook business pages offer a feature that helps your business constantly improve their content. Each time you post, Facebook suggests methods to improve your reach or your impact. That means that you will be able to consistently improve content to deliver what users want. Make sure to use these business Facebook suggestions. This is the best way to run a more successful Facebook business page. Another key tip to make your business page grow is to include pictures in your post. Text gets shared much less than images, so including a picture could increase the chances of people taking notice. For example, inspirational motivation quotes make great posts, but are more likely to be engaged with and shared if they are shared in picture form. Just make sure that the image is relevant and not copyrighted. This way, your picture is effective and will not cause legal trouble if it becomes too popular. Customer shout outs are a good way to get people interested. Featuring a fan of the week or hosting a hashtag event could get you noticed. For example, if you are a clothing store, encourage customers to post a photo of themselves wearing your items under a special hashtag. Then, you can share their photos and show your appreciation. This is a surefire way to keep them interested. Social media is one of the best places to share news articles, blog posts or videos that are relevant to your business. If you are featured in a good light, spread the news by posting it on your page. If you are not, consider making a public statement in response. As long as you remain professional and positive people will love to see your updates. This is also a useful way to learn how to engage employees, which is also helpful. Running a business Facebook page is no easy task. However, with these top five tips you can boost engagement to your page and get fans excited about your content while they get to know your brand identity. Making proper use of social media as a marketing tool can greatly improve business performance. Refer back to this post the next time you need a refresher on how to keep your social media in the spotlight.